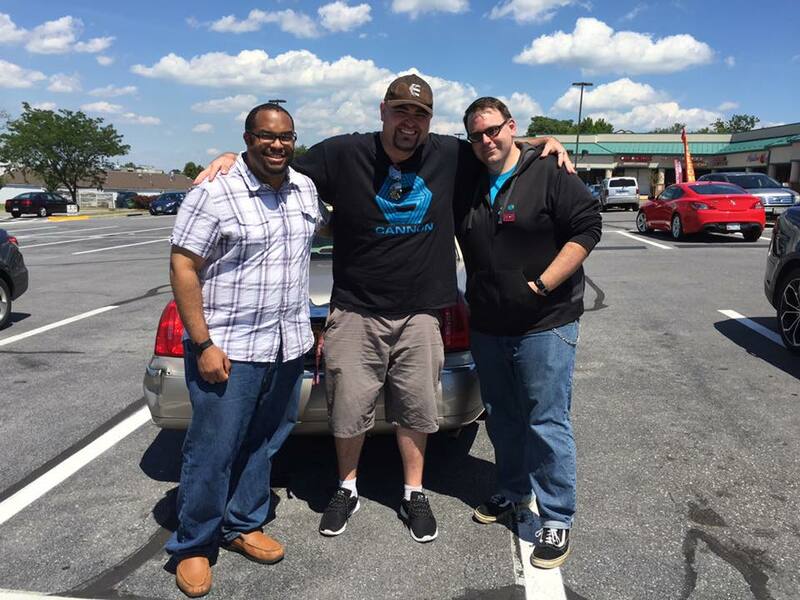 So I had a little time off and went down to Maryland this past weekend for a few reasons. The biggest reason was to meet one of my all time favorite wrestlers and one of the greatest wrestlers of all time, The Icon STING!!!! Sting was appearing at the Shane Shamrock Cup event at MCW Pro Wrestling outside Baltimore. The Stinger has been on my "must meets" of wrestlers for a very long time now. In fact, I've had multiple opportunities to meet him, but every time, something popped up. Car issues, money issues, whatever. Well, not today. Saturday July 16th, I was going to make this happen no matter what! Yes, Sting was sitting down for all the photos. I'm 6'6, so that's why it looks rather unusual, size wise. He also wasn't in makeup, but I made up by bringing some props. My friend's WCW US title belt and a bat were perfect props for this photo. Best part is, Sting had no problem posing with them. Sting was a class act, shaking everyones hands, smiling and just happy to be there. It was a real pleasure and I couldn't be happier with the photo and how this event turned out. Also appearing at the show was Sting's WCW tag partner and best friend, Lex Luger. While Sting had a very, very long and tiring line, the Lex Express certainly had it's big share of fans as well. It was a pleasure to not only meet the Stinger, but Luger as well. Two wrestling legends in one night! My friend Andrew, Luger and myself. While that event was indeed a lot of fun and was indeed the main reason I came down, something just as exciting happened the day after. 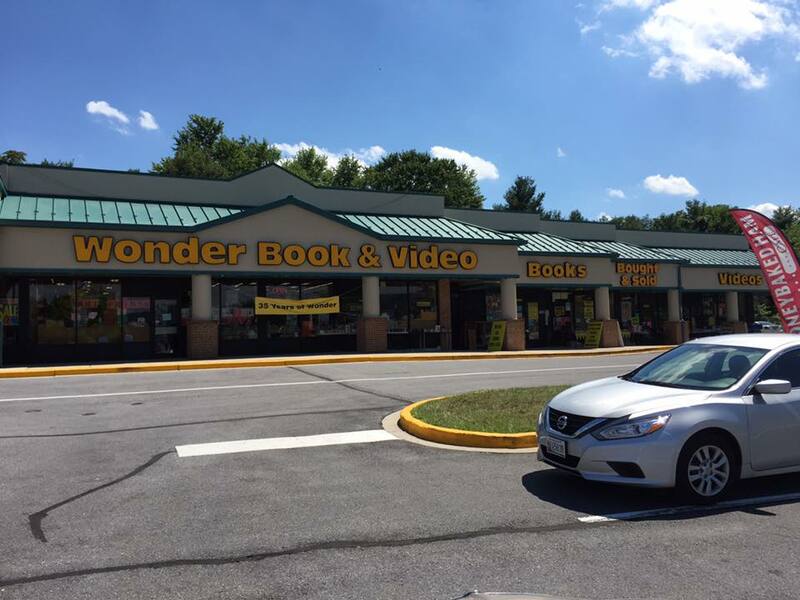 See, when I lived in Maryland, there was this old used book/movie store called "Wonder Book and Video" I used to stop by almost every Saturday night. I'd go to buy VHS and old comics, come back home and have a pint of Ben and Jerry's to watch SNL. Yes, while most of my friends were out at bars and down at the beach, I was searching for vhs copies of Mother's Day and The Baby. There's also a Roy Rogers across the street, so my dinner would consist of the greasiest and most delicious fried chicken allowed at a fast food joint. As old as that store is, the front hasn't changed since I discovered it. So why am I telling you this? Well, it's been YEARS since I've gone back. Four years to be exact. Even then, my last visit was not a successful trip. I mean as you can imagine, not every trip was a home run, but most were. However, this trip meant more than just videos and comics. Oh yes. This was the meeting point of three bloggers. Myself, William Bruce West of West Week Ever and Shawn of Branded In The 80s. William and Shawn have been two voices in pop culture blogging that I have had nothing but the highest respect for over the years and every time I've driven down, my goal of meeting up with them have usually been put off due to being busy. But not today. No sir. Driving down to MD afforded me the luxury of making my own schedule and not rushing. A few weeks ago, I sent out the call to my FB friends to see if anyone had any Ecto Cooler and Shawn responded that he indeed had some. Coincidentally, I was coming down so I would finally be able to meet Shawn. Then it hit me that I could also meet up with William. 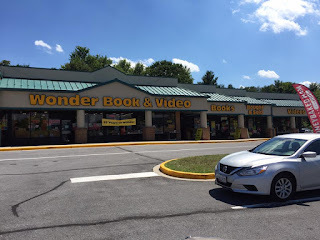 I originally suggested a flea market outside Baltimore, but since both of these two love comics, movies and books, I knew Wonder Book was the perfect spot. 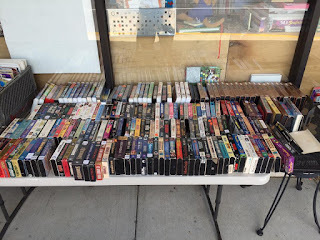 I arrived about 15 minutes early and found that the entire stock of VHS had been relegated to a small table outside. Which was weird to see, considering just 12 years before, the aisles in the store were packed the gills with VHS intermingling with DVDs. 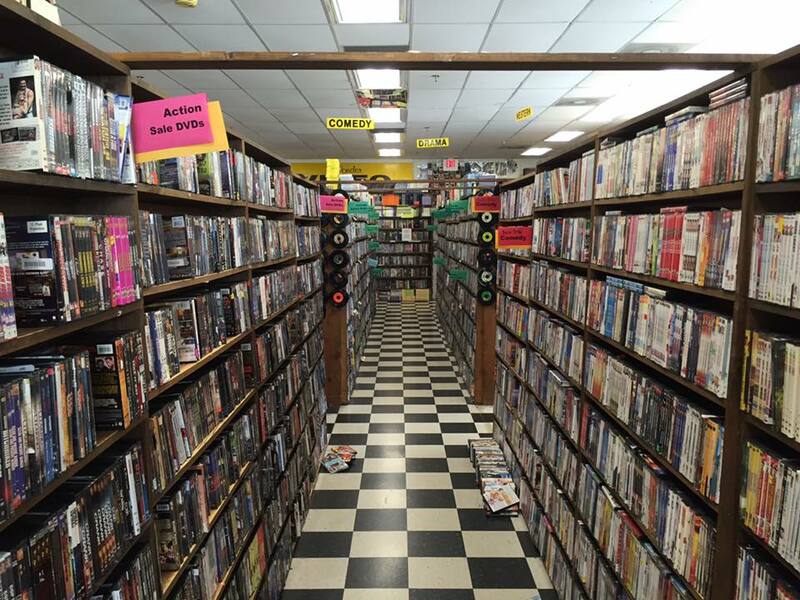 In fact, when I first discovered this store in 2004, I feel like the VHS-DVD ratio was a good 75/25. But ya know, that was 2004, dvd hadn't hit their peak and bluray certainly wasn't a thought. Times are a changin'! Gotta move on. 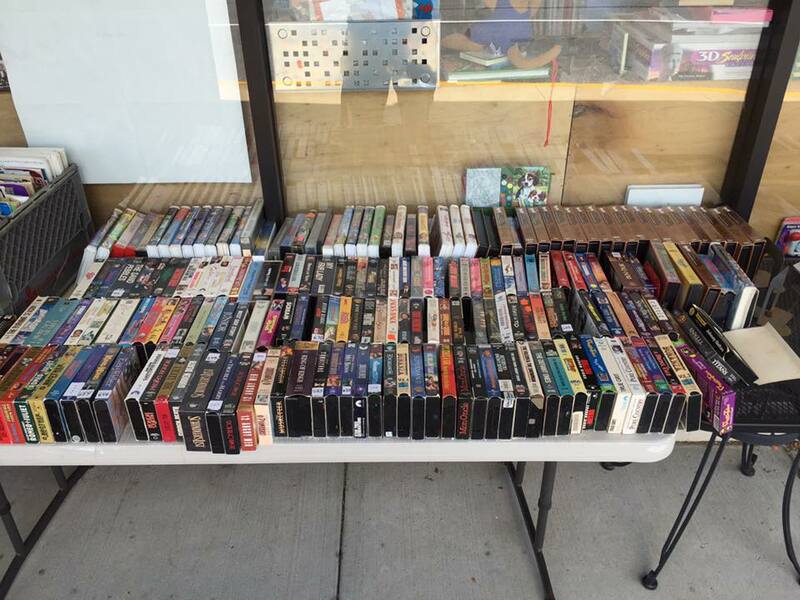 The fact that VHS were even available is more than unexpected. So Shawn showed up a little after 12. A hearty handshake and hug started off our adventure. 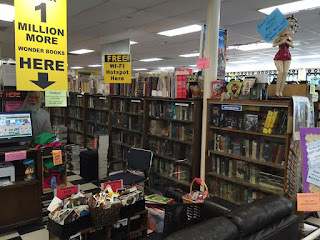 Almost immediately, we clicked as we discussed vhs, books, blogging and podcasting. After picking out a few tapes, we go in and immediately search for some movie adaptations, a big favorite in the pop culture community and something Shawn has a lot of expertise in. While we laughed at the ridiculous novelizations and traded anecdotes about collecting, a wild William West appears. Finally, the trio is together and if Shawn and I had a fun time geeking out and talking 80s before, it just got kicked up a notch. Let me tell you, I thought I knew a lot about pop culture until I met these two. I feel like I discovered new stuff I never knew before thanks to these guys. I even discovered an unreleased scene from Karate Kid in which Johnny shows remorse for the way he acted. You can learn something new every day! We journeyed through the store and discovered more gems and shared laughs. If you've never heard William read the back of a cheesy scifi novel, you've never lived. 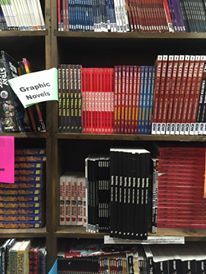 We headed over to the comics section where William found some great graphic novels and all three of us had a real fun discussion on comics, which is something all of us grew up loving. I've been out of comics for some time now but have been looking to get back in. Admittadly, that's easier said than done, but to just chat about comics past was a lot of fun. William's exact quote "Those just scream doctors office to me". 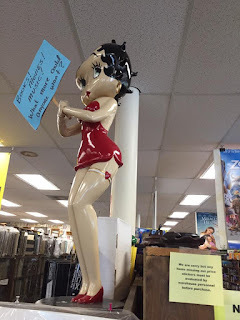 Betty has been a cornerstone of this store even before I discovered it. Glad to see her again! Wonder Book has always had a fridge full of delicious refreshments. Glad I picked some up! After looking at dvds, discussing anime and finding a copy of Chipmunk Punk (you read right! 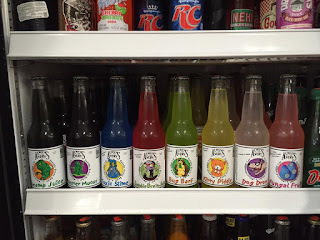 ), and picking up some weird soda's, it was time for us to part ways. 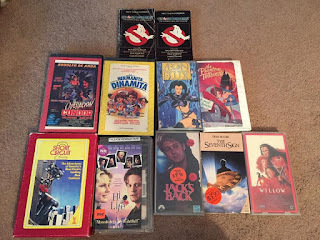 but not before Shawn walked out with a stack of movie adaptations, William walked out with some comics and I walked out with that stack of VHS. All of us also bought some of those weird sodas you see above. It was pretty awesome seeing these two bloggers purchase and discuss the things that I've only heard them discuss on podcasts and on their blog in person. All three of us certainly picked out the items that suit we're best known for, I'd say! It was time to go, but not before I was gifted two more than generous items by both of my friends. 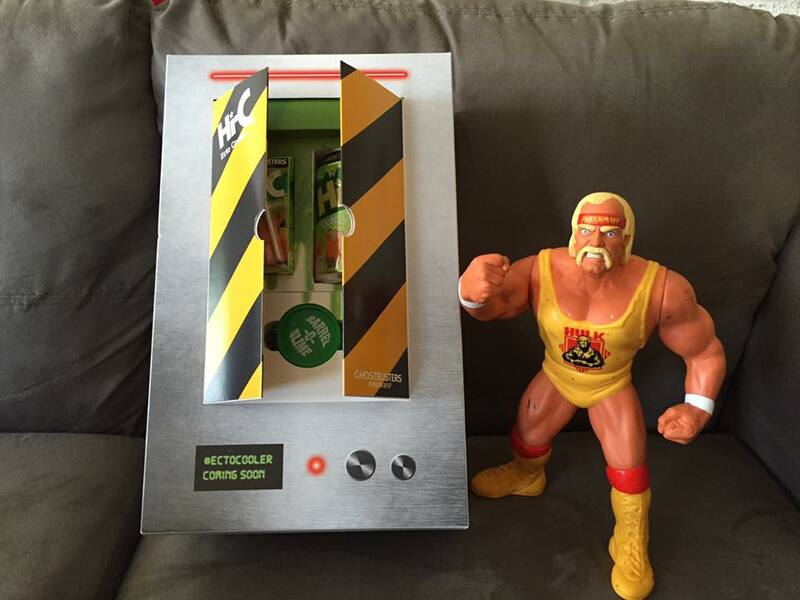 A talking Hulk Hogan and a promotional Ecto Cooler box. Now, first off, let's talk about this promo box. 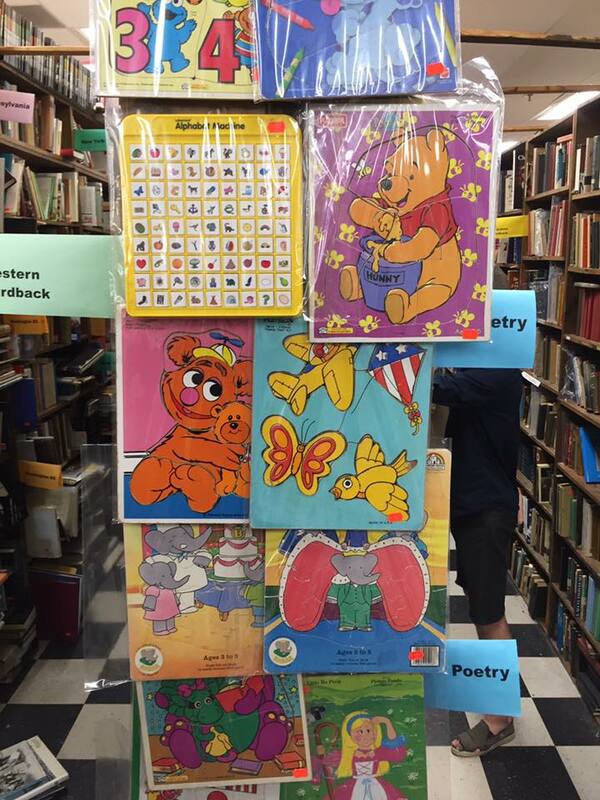 These early samples were sent to a number of bloggers and websites for review. I wasn't one of them but I was still very happy for my other buddies who did. It was nice to know Coke was staying in touch with the fanbase and reaching out to those who were the true fans. Shawn, knowing I didn't receive one and was trying to stockpile as many Ecto Cooler I could, gifted me his. What a very, very overwhelming gift. I'm still in awe. Now this. THIS!!!! 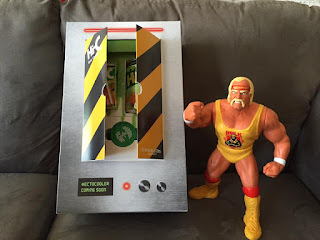 A Hasbro Talking Hulk Hogan! Wow. One of the best Hogan likenesses and probably one of the best figure representations of the Hulkster. He says a couple of his goofy phrases and all, but I'm just excited to finally own this. It's an item I would've loved to have gotten this much sooner to put in my Hasbro collection, but I've never been able to find it. Thankfully, knowing what a fan of WWF merch from the late 80s/early 90s I am, William hooked me up! This is so great! I was sad to leave my friends, especially when we could've just gone on and on, but I had a very long 7 hour drive back to Rochester so, I had to. But I can't help but want to just drive back down just for another geek session with these two. Maybe a trip to Roy Rogers will be on me next time, gentlemen! Thanks for the fun trip. Some great memories and great friends. What more could I really want? Oh yeah, my haul. 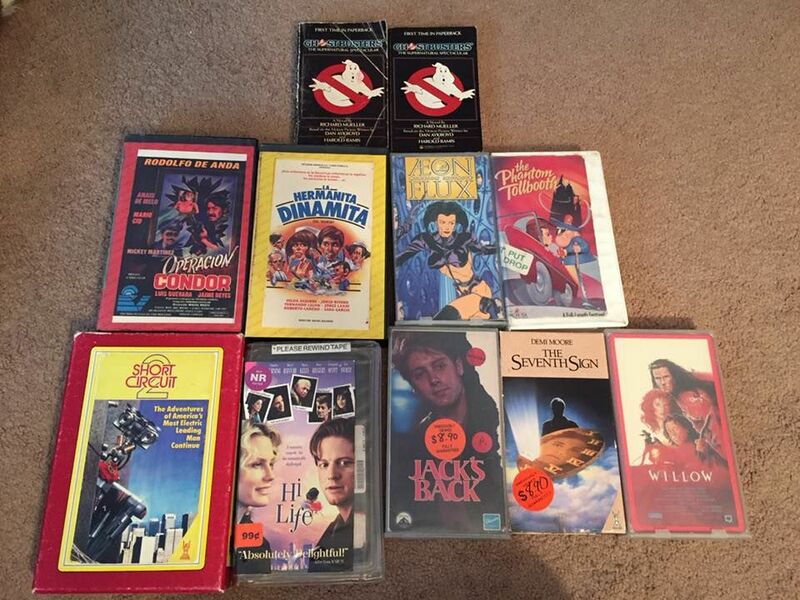 Some soda, VHS and TWO rare Ghostbusters books. Not a bad haul. Very happy with this lot of awesomeness. So once again, thanks to my friend Andrew for driving me up to Baltimore to attend the MCW event, and thanks to William and Shawn to join me at Wonder Book! It was a great time had by all and I look forward to hanging out again sooner than later! Totally had a blast sir! And that reminds me, I got a chance to sort of meet Lex Luger once. I used to work at a grocery store chain called Kroger in Georgia, and at the height of the WCW era Luger would come into the store at like 1:00am and buy baby formula. Oh man, that sounds like a blast. One of these days, I hope I actually get to meet some of the people behind the words I've been reading. That could actually make for one hell of a road trip.